It’s never really about us, it’s always about the care. Forms for our referring partners. We make it easy to care for your patients. 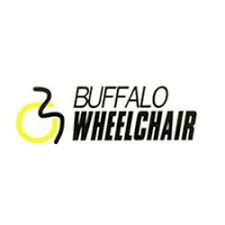 To better serve our referral sources and patients, Buffalo Wheelchair has specialized staff with knowledge about the specific products and/or therapies and the medical information required to process the order. They will ask the necessary questions to process the order, schedule the delivery or pickup and initiate the process for verifying coverage of the order. Download your forms below. Caring for WNY for over 25 years. As the WNY’s largest provider of home healthcare products and services, Buffalo Wheelchair helps thousands of patients live healthier and feel better every day. We are determined to exceed the expectations of those we serve and demonstrate our high clinical standards and compassion in care. What sets us apart from other providers is the personal training and education we provide to all our customers. We know that quality care is a result of collaboration with our referring partners. Understanding all the aspects of the individual is critical to provide the right equipment for optimal recovery, care, and independent living.